Since 1923, Best-Test Paper Cement has been manufactured the same way, utilizing a specially-blended and treated formula that uses premium white rubber from the Far East. Unlike multi-purpose glues, Best-Test Paper Cement will not shrink or wrinkle the paper when adhering and it dries quickly and clear. Acid-free, easy to apply and clean up, Best-Test Paper Cement is ideal for mounting, paper crafts, leatherwork, scrapbooking and much more. This versatility is what makes it the overwhelming choice of commercial and fine artists, crafters and educators. Available in 5 sizes, ranging from 4oz. to one gallon. 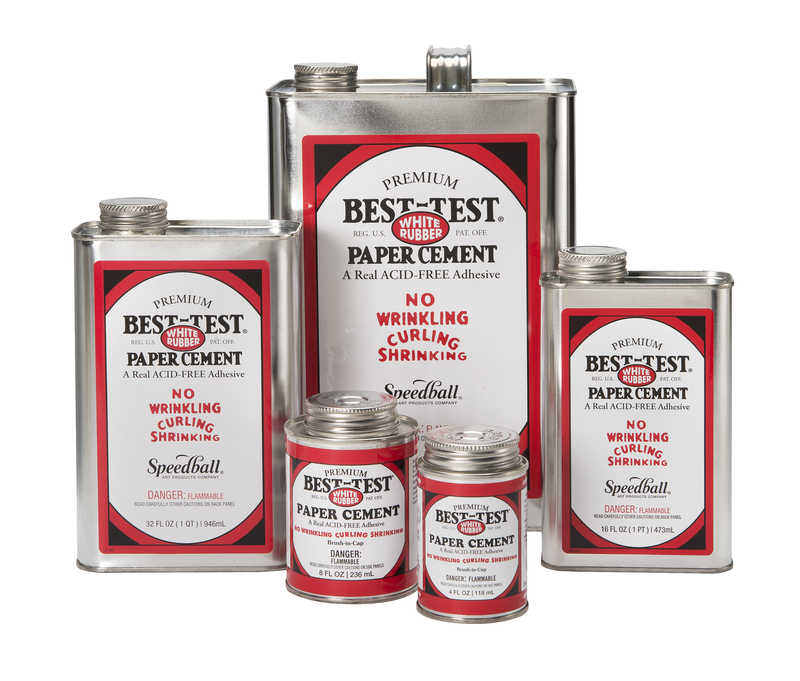 An economical alternative to Best-Test Paper Cement, Best-Test Rubber Cement is specially-formulated for office and school use and will not shrink, wrinkle or curl paper. Best-Test Rubber Cement can be used for either temporary or permanent bonding applications and is acid-free. Great for mounting, scrapbooking, collage and more! Available in 5 sizes, ranging from 4oz. to one gallon. 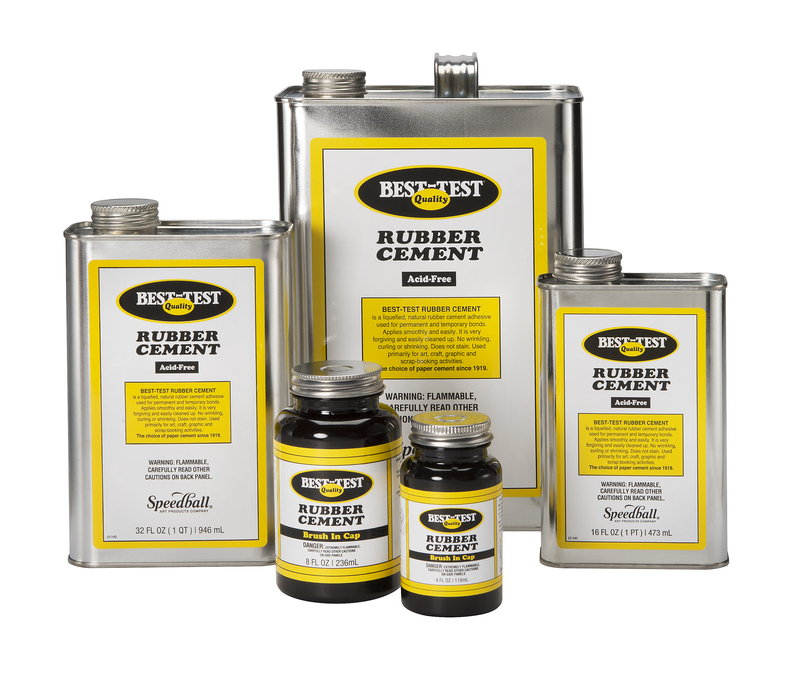 Best-Test One Coat Rubber Cement is an excellent pressure-sensitive rubber cement that was developed for commercial and fine art applications. One Coat makes repositioning elements easy as it is able to remain tacky when applied to one surface, allowing work to be removed and replaced many times before being set firmly in place. 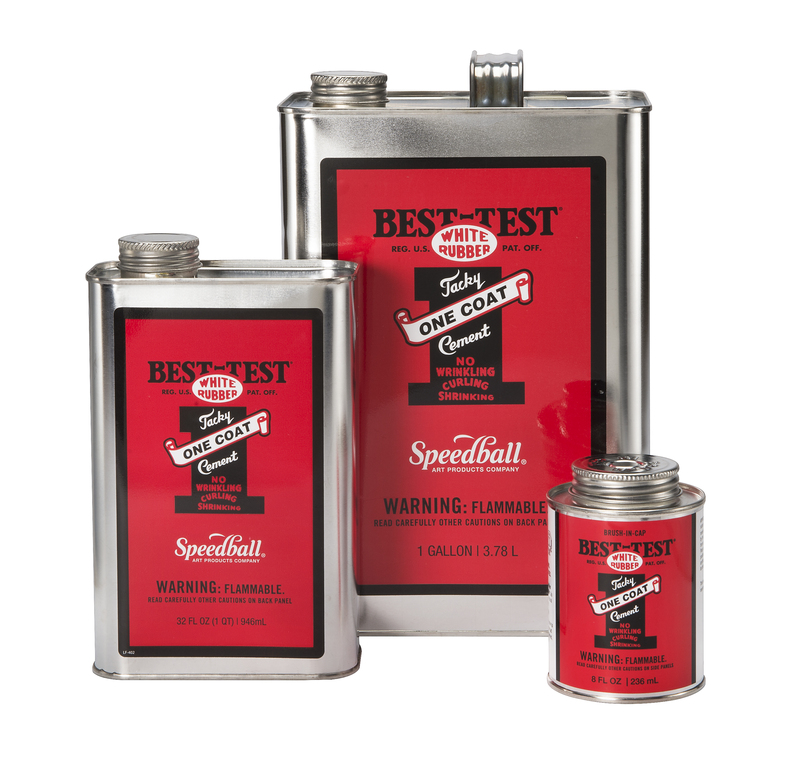 Best-Test One Coat Rubber Cement is also acid-free and easy to clean up! Available in 8oz., 32oz. and gallon sizes.